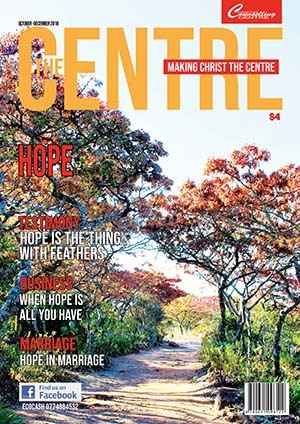 The October issue of THE CENTRE Magazine is now out. See free download here for your e-copy. The theme of this issue is HOPE. It focuses on different stories and inspiring examples of the hope we have in Christ. Eternal hope but also hope for this life. No one can exist without hope. Read this issue and your hope will rise! Enjoy and be encouraged. Have you read the back issues of our magazine? Also available here.